The first ‘Greatest Hits’ has sold over twenty million copies worldwide making it one of the biggest selling releases in music history. Well, let’s be honest here: it is one of the greatest collections of AOR songs ever. A truly genre defining release. It was almost inevitable that after the ‘rebirth’ of Journey due to the success of the successful albeit cringe-worthy TV show Glee, and the song that everybody is probably fed up of hearing by now, that a second collection would eventually be issued at some point. 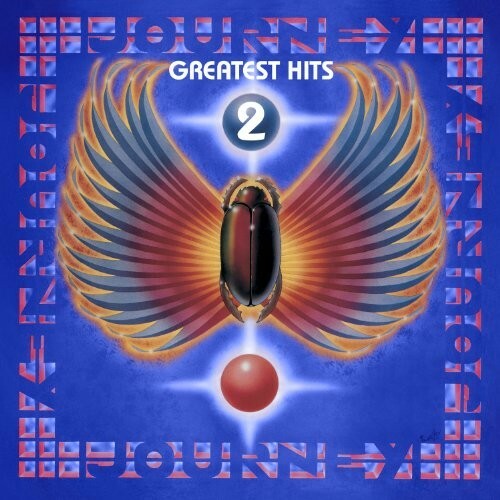 Sure, there have been other Journey collections released over the past decade (some of them more complete and extensive than this one) but what makes ‘Greatest Hits 2’ stand out amongst the masses is that former singer Steve Perry has dug a little deeper into the band’s archives and come up with a fairly healthy collection of 17 songs, which he has remastered himself. It is proof yet again that Journey is a band like no other. Hopefully what this second collection will do is open up the band’s back catalogue for those who only know Journey because of ‘Don’t’ Stop Believin’.’ For whatever reasons, the likes of ‘Stone In Love’, ‘Chain Reaction’ and ‘Mother Father’ were not included on the first release. Sure, it’s easy to call this CD a cash-in but it does show a different side to the band but it’s doubtful that mainstream music lovers will go for this collection the way they continue to do so with the first one. 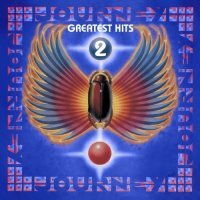 This reviewer can’t see ‘Greatest Hits 2’ selling millions upon millions of copies like the first one whose legacy is never going to be beaten by any other Journey collection. And though ‘Greatest Hits 2’ looks good and everything, it’s missing some sleeve notes and rare photos as well some obscure tracks for anoraks. Perhaps some rare, unreleased and live Steve Perry fronted Journey material would have been preferable?